I love looking back through my blog this time of year and seeing all of the memories that were created and all of the projects that were accomplished. 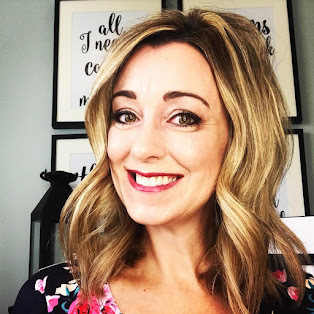 This is actually one of my most favorite things about writing a blog, a chance to document our lives so I can look back and read through the posts with a warm heart and a sense of accomplishment. 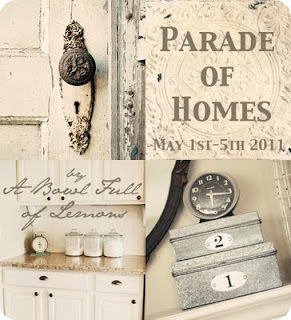 Looking back through my blog stats, the 2011 Home Tour with A Bowl Full of Lemons Blog was by far my most popular post. I had 1200 hits that day alone!!! 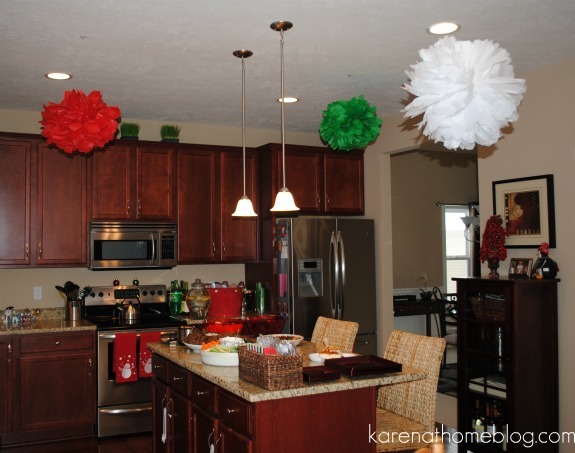 I had a great time participating in the Home Tour and hope to participate again in 2012! 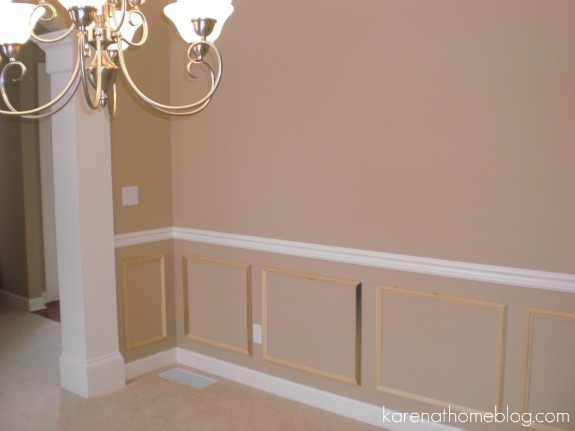 In January 2011, I talked about how we upgraded our dining room with DIY Wainscoting. It was a more of a DIY with a twist. We borrowed our builder's Amish Carpenter to cut and measure the picture frames and we did the rest. This was one part of the project that we didn't want to chance being incorrect on so we contacted the expert's, The Amish. My most popular recipe this year was my Summer Pasta Salad. This recipe is so easy and always has my friends and families asking for the recipe. It's always a huge hit at Summer BBQ's and Block parties!!! And our biggest project in 2011? 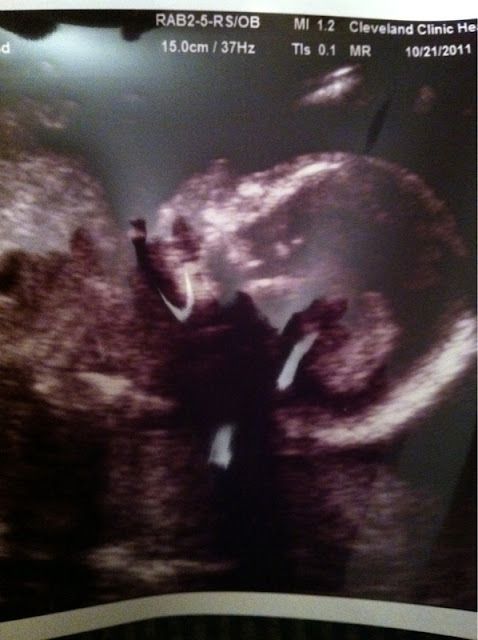 Our precious Baby Boy due March 2012 which should surely be the biggest project of 2012 too!!! Stay tuned for his nursery, hopefully a name and all the other fun project ideas I have in preparation of his arrival. 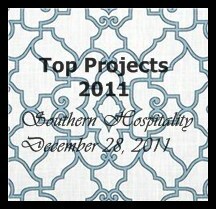 I am participating in Southern Hospitality's Top Projects of 2011. 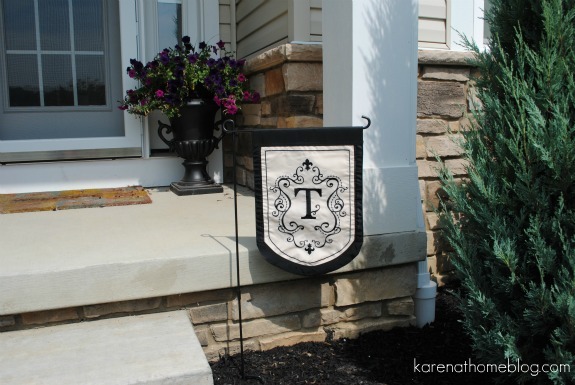 Stop by Rhoda's Blog to check out all of the other amazing 2011 Projects!!! You've been a busy girl this year! Love the wainscotting in your dining room. I don't blame you for calling in an expert to help with all of the cutting and measuring that was required. Great recap, Karen! I totally understand about calling in an expert to handle the stuff you don't want to leave to chance. I did that myself with my painters and trim people. They did a much better job than we ever could and they did it FAST. Some things are worth opening the checkbook. I can't wait to meet your new little man!! I hope you guys have a safe and happy New Years! I hope you all had a great holiday!! I know what you mean. That's my favorite thing about the blog. Anytime, I want I can go back & look at what we've done. Hope y'all have a Happy New Year! Can't wait to hear more about your little man. Obviously... 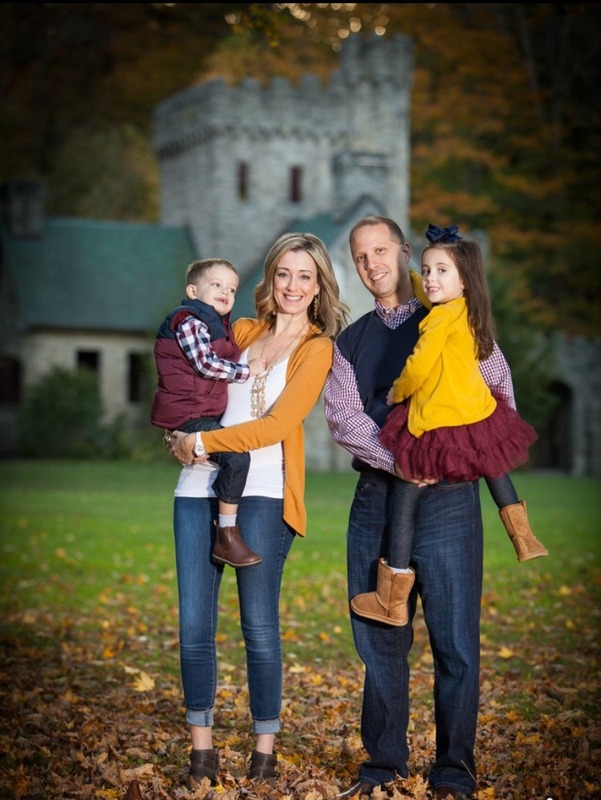 I have been out of touch from the blog world for a while now... so ... CONGRATS!!! Boys are so much fun!!! Good luck!